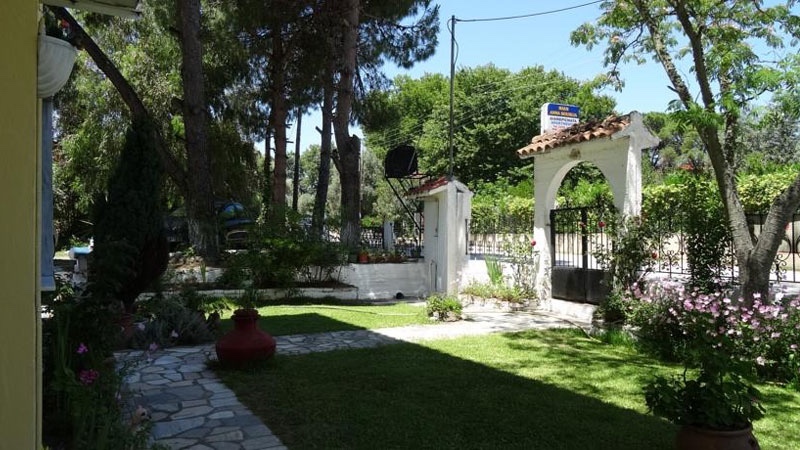 House Houhlia Anna in Vourvourou, Halkidiki is located just 50 meters from the beautiful beaches of Vourvourou. 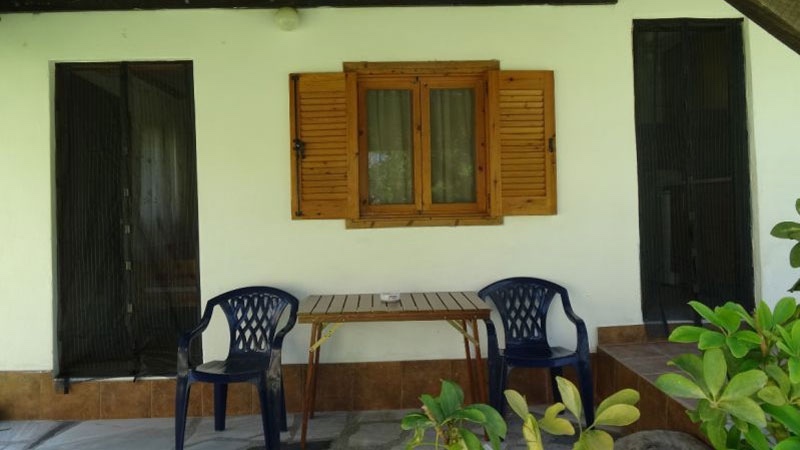 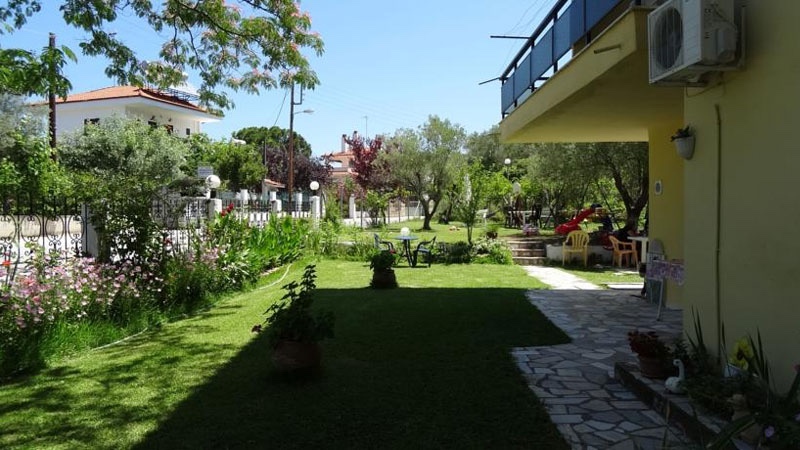 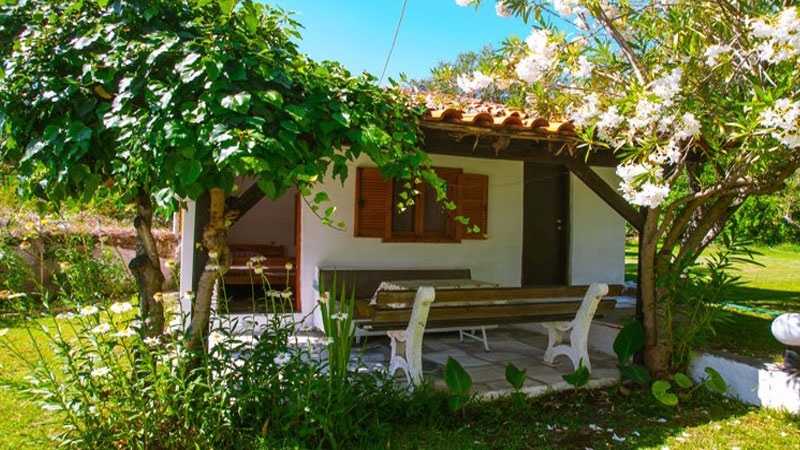 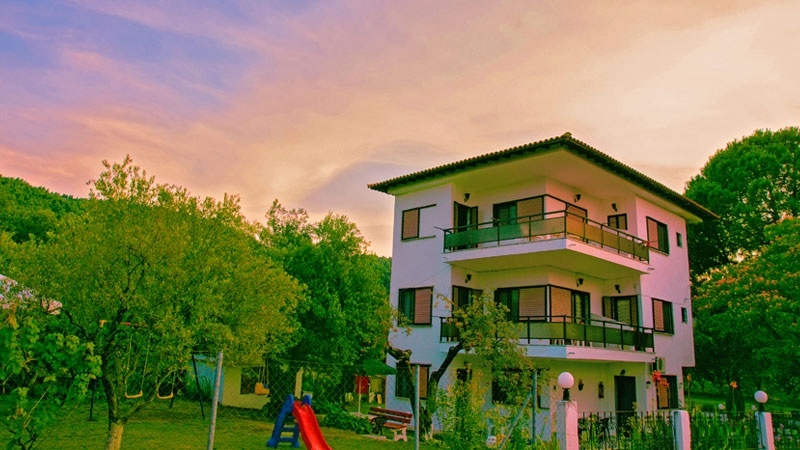 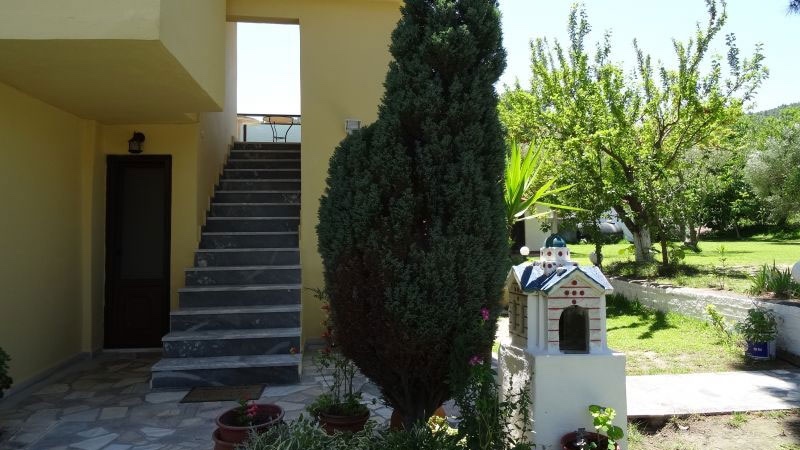 Located in garden-like surroundings, your stay in House Houhlia Anna will be relaxing and provide what you need for your vacation to Sithonia. 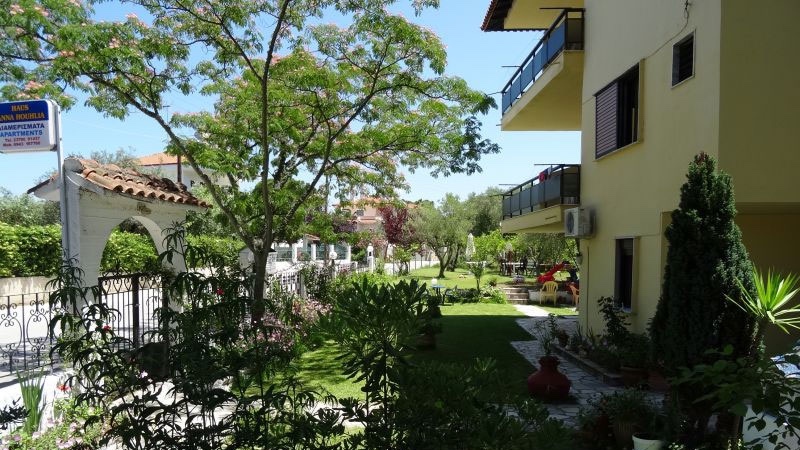 The garden is well taken care of to award you with peaceful surroundings. 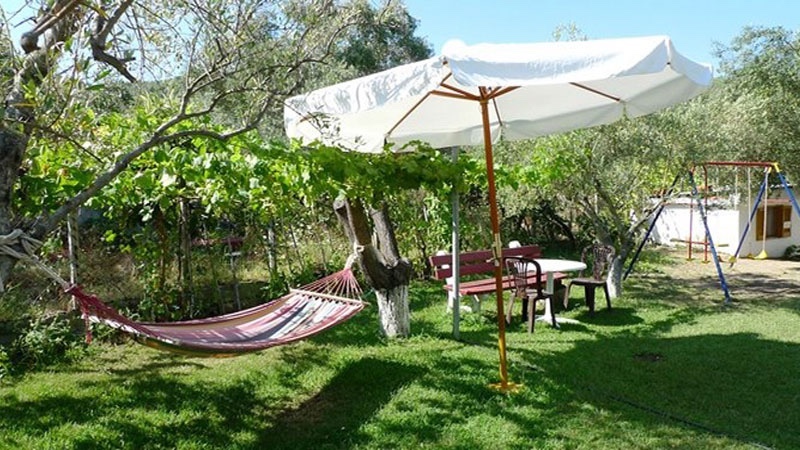 Have a sleep in the hammock, let the children play in the playground and enjoy your dinner prepared on the wood fire BBQ. 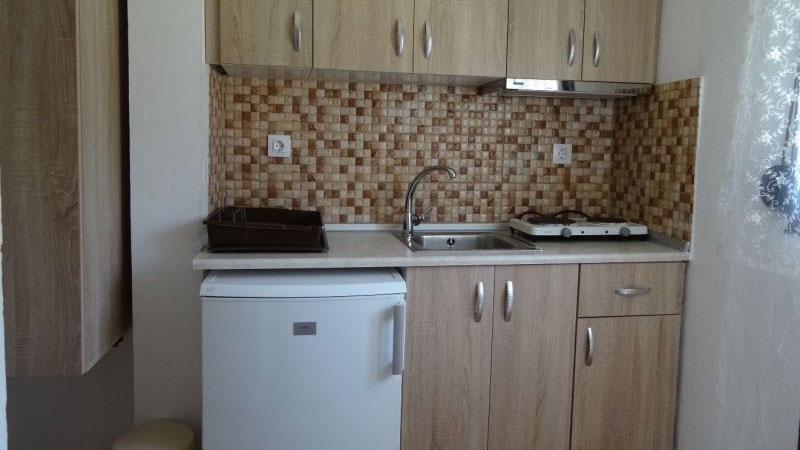 Free WiFi internet and parking is provided. 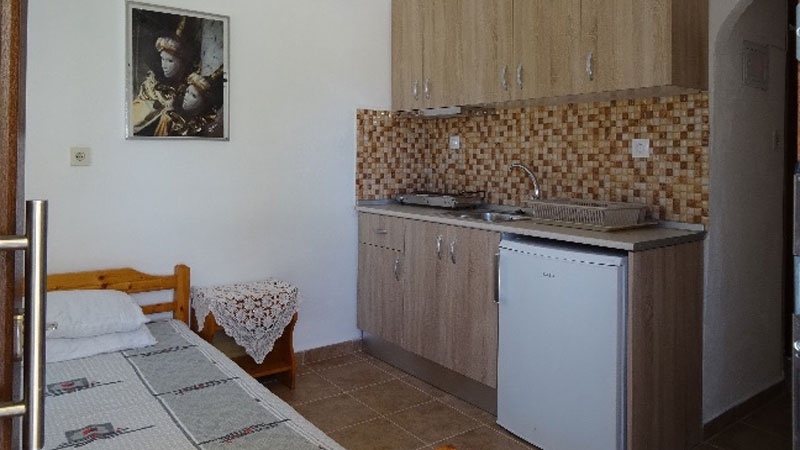 Houhlia has 1 and 2 bedroom apartments for 3-7 persons and a garden villa that accommodates 4 persons. 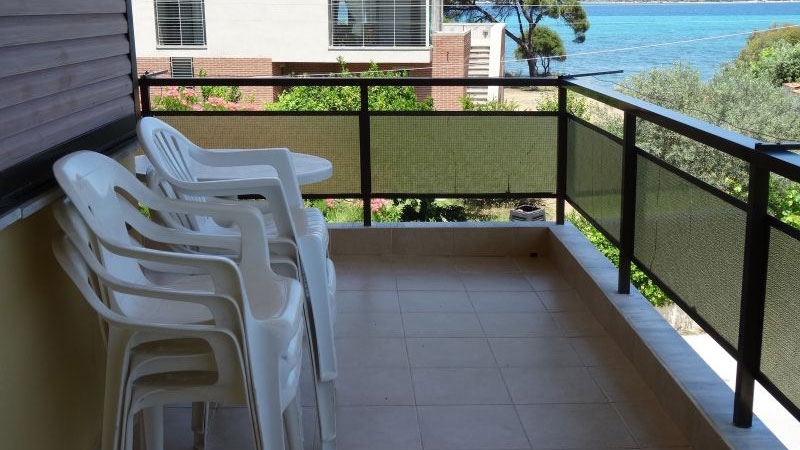 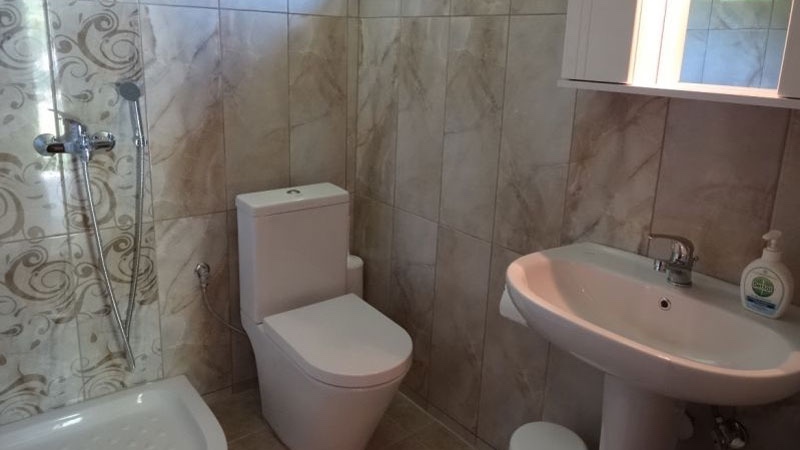 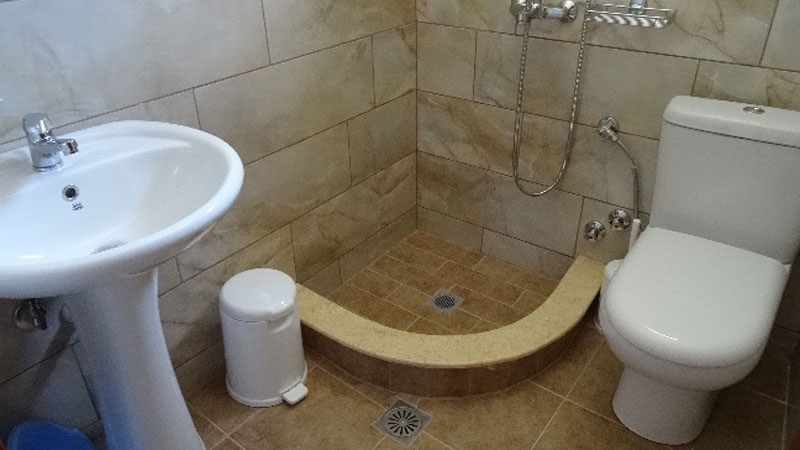 All apartments are equipped with a balcony or terrace, a kitchen (refrigerator, stove), bathroom with shower, air conditioning and a television. 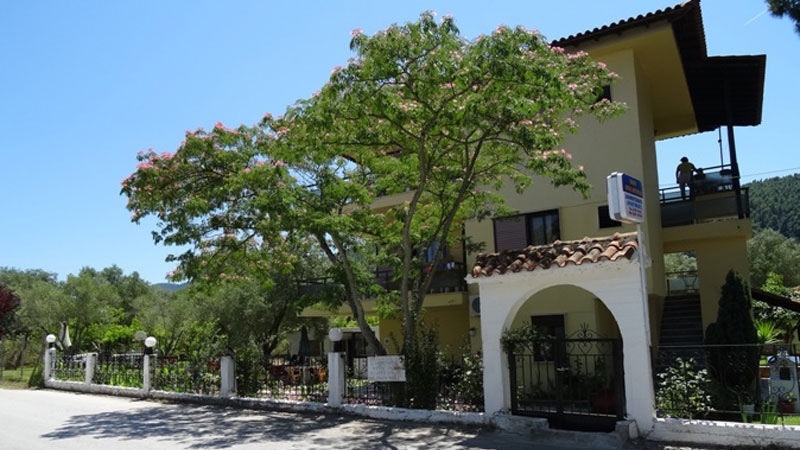 Just up the road you can find several restaurants and mini markets. 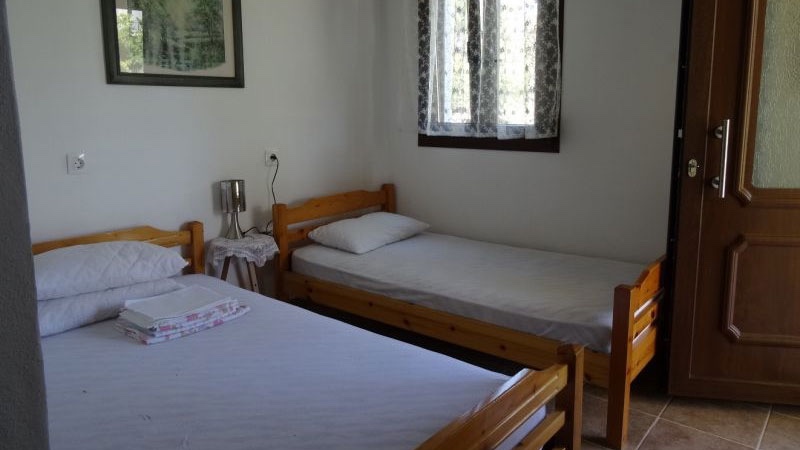 One of the cheapest accommodations in Vourvourou.